Lip balms are one of the widely used cosmetic items. They are displayed on the cosmetic stores using special lip balm display boxes to gain the attention of the women. 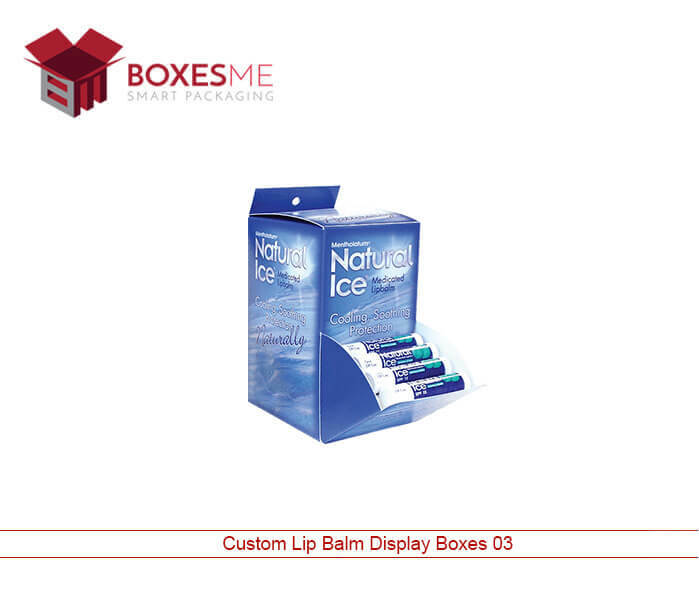 Lip balm display box has its special flat base shape and look attractive when displayed on the cosmetic aisles. Their special dispenser shape is made with a hanging tab through which they are hanged on the cosmetic stores. These display boxes also are helpful in the sense that the manufacturers can display different flavors of the lip balms at once to show the range of their lip cosmetics. Also these display boxes are durable enough to carry multiple lip balms for a long time without getting damage. 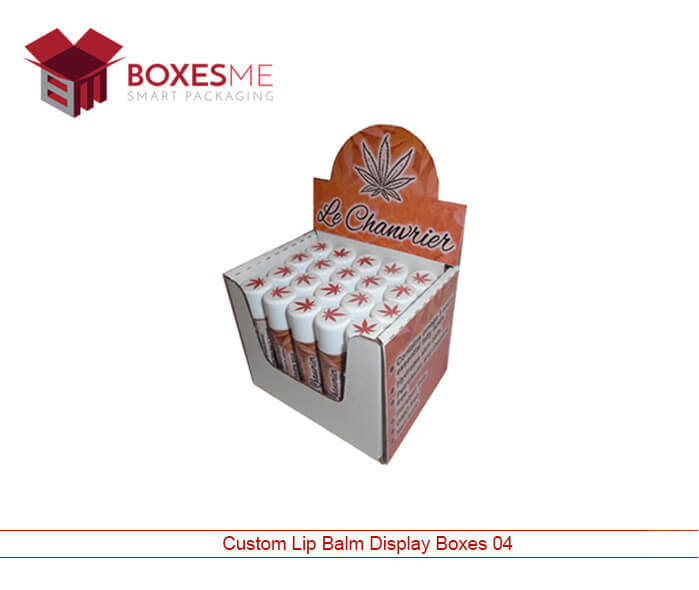 Lip balm display boxes are used to display wide variety of the products so its important to have your brand name mentioned on them through customization and printing. Due to this, customizing plays an important role in promoting the product and the brand simultaneously. On the other hand, premade boxes cannot promote the brand as they are plain and already made in standard size. 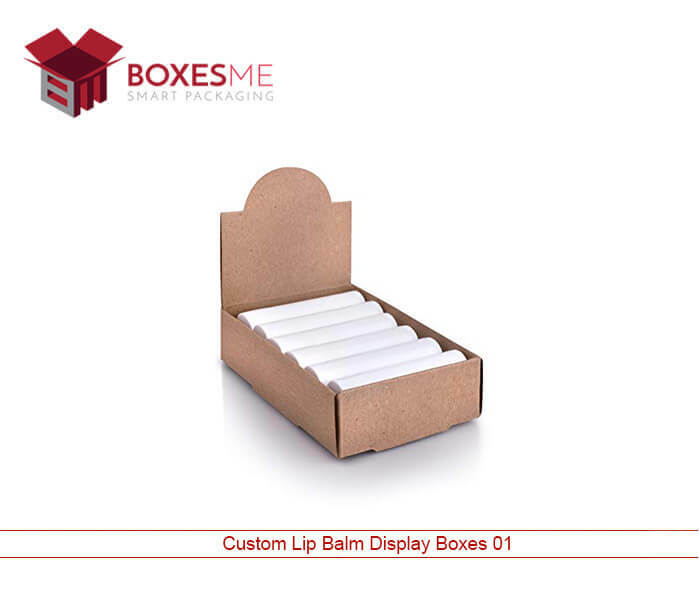 Lip balm display box template is provided to you so that you can take an idea of the design you want to make for your boxes. If you already have a design in your mind or in digital form, simply send us and we will make the replica of that for you. Distinct styles and design of the packaging plays an important role in distinguishing your brand from the others. Packaging boxes can be made in plenty of styles and shapes to set apart your brand from the others. Pop up display boxes, counter top display boxes , dispenser style boxes, hang tab boxes and many other boxes styles can be made according to your choice. You can also avail simple rectangular box design with inserts to make your product look unique on the grocery display or in cosmetic stores. 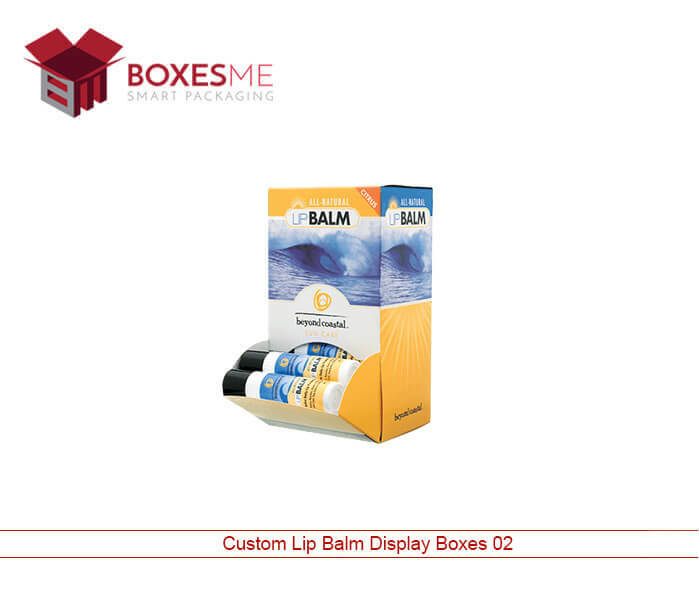 Special cardboard material is used in the manufacturing of lip balm display boxes wholesale. These boxes can also be made from Kraft or corrugated stock, if more strength and durability is required. Material with different strength and stocks are made available to you so that you can select the best suited material for your product packaging. Full color printing on the cardboard boxes can be made to make them look more colorful and attractive. Die cut window on the lip balm boxes look amazing and can provide the customers the glimpse of the product.